Avira, a renowned and reputed developer of privacy and security software products has recently launched Avira Prime that’s claimed to be industry’s first-ever all-in-one subscription service. Avira Prime will provide both households and individuals with a convenient and no-obligation coverage for their online privacy, security, and performance needs. 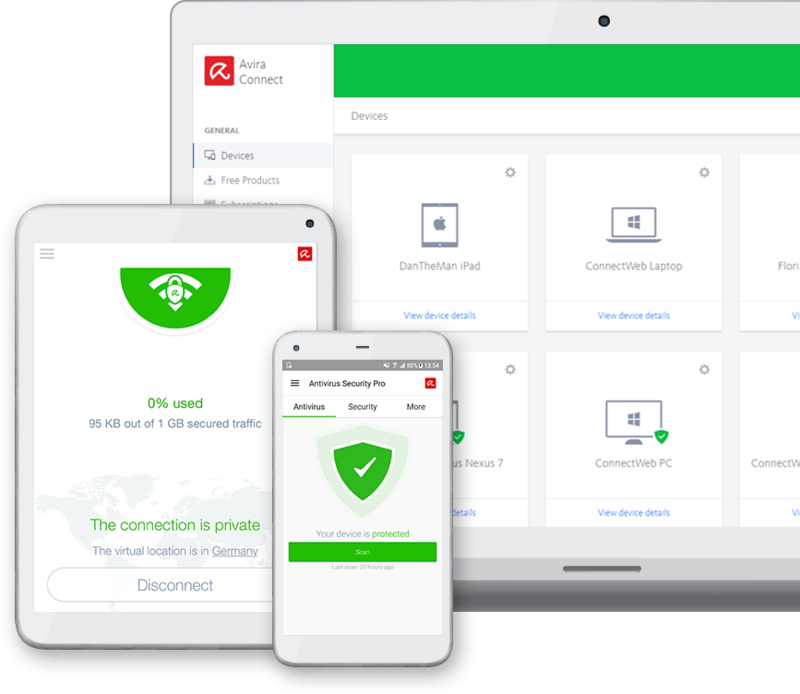 With a simple subscription, all Avira Prime members will be offered a convenient and one-click access to all Avira’s premium-grade privacy and security solutions, for example, System Speedup Pro, Phantom VPN for online privacy, the award-winning Avira Antivirus Pro, and lots more. Who can use the Avira Prime Membership? This Avira Prime subscription will be ideal for those people that are having a growing collection of various online devices. Those people may want to ensure that all of their online devices and portable gadgets are perfectly secured and defended against malicious cyber threats. Regardless of how many devices the users have, the type of their devices, and the operating system — they can subscribe to Avira Prime membership and ensure a complete protection of their gadgets. According to Avira, cyber-criminals are now trying to diversify their attack portfolios. To protect your device from such potential cyber attacks, Avira Prime membership can be a excellent and effective security solution. As of now, the industry has remained primarily focused on selling individual security products. Therefore, Avira features to be the very first company to group all of its products into an affordable, all-inclusive subscription service package i.e. Avira Prime. According to Avira’s CEO (Travis Witteveen), as people keep adding devices to their growing technology portfolios, Avira Prime membership seems to be a convenient and meaningful solution for them. 1) Protection: Avira Prime users will enjoy a comprehensive range of security solutions against all online threats, the latest zero-day attacks, and new ransomware variants etc. Additionally, Avira’s security apps for Android will enable users to easily secure their devices and confidential data from cyber theft. 2) Privacy: Avira Prime users can enhance their online security and privacy with Phantom VPN. Phantom VPN can wrap all of your online communication into a safe, secure, and encrypted envelope. It can secure all of your online communication and transactions from Man-in-the-middle attacks through the transmission chain. Phantom VPN is available for various types of operating systems including both home laptop and smartphone. 3) Performance: Avira Prime users can easily keep their gadgets in shape and up-to-speed. The users will get an unlimited access to Avira Optimizer for Android and System Speedup Pro for Windows devices. This enables Avira Prime members to easily remove old and unused apps, protect against privacy risks, and free up memory capacity. With Avira Prime membership, users will get an unlimited access to all current Avira’s premium products and all new apps (they will be released subsequently). Prime membership subscription can be availed in two different ways, either you can opt for a monthly flat rate or a simple annual payment. Both of these subscription plans will enable Avira Prime members to enjoy more features at a relatively lower price as compared to when these security products are purchased separately. Avira Prime membership also comes in two different umbrella sizes – household and five devices. The household usage policy can offer premium Avira security benefits to a maximum of 25 individual devices. Getting all of your devices under the Avira Prime umbrella is extremely easy. Regardless of whether your gadget runs on Windows, Mac, iOS, and Android, all of them will be covered by Avira Prime. The best part is that Avira Prime membership offers you access to the Online Essentials dashboard that enables an efficient remote device management. The Online Essentials dashboard also allows you to quickly and conveniently download any required apps for your online gadgets. Furthermore, the dashboard shows a comprehensive online health of all covered devices. Through this central dashboard, you can review service status of each device at a glance and add/remove premium services at your own will. Privileged VIP Access: For any query or assistance, all Avira Prime members will be offered an exclusive access to the VIP Customer Support team of Avira.